In the past few weeks many Western governments have publicly announced that they want to either ban encryption or have backdoors created for easier access when it comes to online communication services e.g. Skype, SnapChat, WhatsApp, or your private e-mail. Everybody knows by now that the NSA, CIA, and every other intelligence service on the planet already has access to Skype and is monitoring and watching your every call and listing in on your conversations with great amusement. This is for me very disconcerting (downright criminal), as the rights to my privacy as an individual, especially online communication in whatever form, is ABOVE any security concerns that what these oppressive regimes my think they have. But I am certain that they will get their way and implement backdoors and/or connections to these online social websites without any problems. But there are ways in defeating these Overlords of oppression and dysfunction! The answer to these worrying times of individual rights to privacy on the internet is simple, Stand-Alone Encryption. Whether you like the standard AES encryption, or any other variation of Industrial Encryption Algorithms like maybe try something really out there like Steganography, they cannot be easily cracked or weakened by backdoors. That is why I created the following security software applications in order to secure my privacy online or any other form of communications over the internet. 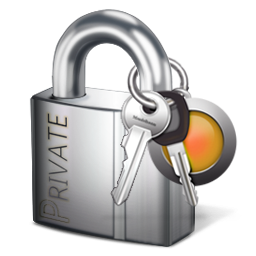 We have only the best free encryption and security software on the internet.